Owning a gun is both a liberty and also a responsibility. In the world today, individuals are given the freedom of owning firearms for their own use and protection. But on top of every gun owners mind should be safety above all. Our best gun safe reviews is catered for the responsible gun owner who wants to keep their family safe. People own and make use of guns for different reasons, but, the main purpose of many citizens of having one is for safety purposes. Whether these guns are for target practice, hunting, personal collection, or protection, they, too, should be kept in a good gun safe. It is always the owner’s sole responsibility for keeping these weapons safe when not in use, especially away from children’s reach. With that said, any gun must always come with the best gun safe all the time, allowing a proper storage for added safety. Aside from that big reason, these precious items should be locked up too to avoid mishandling or theft. 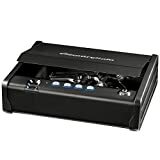 While guns provide a lot of benefits to the owner and the whole family, getting a firearm security system, such as a gun lock box provides more advantages. 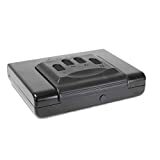 So, below are the best-rated gun safes on the market today, offering you wide selections of the most reliable and safest firearm security systems for your guns and ammo, keeping them away from both the innocent minds and the dangerous hands. Dimensions: 6.5 x 3.5 x 13"
Dimensions:12.1 x 9.9 x 3.2"
Medium Freedom Shelf with Invisible RFID Lock and key cards, 35.5" Long x 10.5" Deep. Made in Wisconsin, USA! The GunVault SV 500 SpeedVault Handgun Safe is among the top rated gun safes today, garnering an average rating of 4.5-Stars on Amazon. This is the best handgun safe, featuring a fast-activation and drop-down drawer, along with a digital keypad for quick access. The best gun safe for the money should be an epitome of durability. Hence, the SpeedVault simply lives up to this expectation. This vault is constructed from 18-gauge steel together with a protective foam-lined interior. The kit includes hardware for multiple mounting options, including a backup override key. The SpeedVault can solve a lot of issues, according to several gun safe reviews. Compared to other models that have limited mounting options, this one offers pretty much, while it retains a quick access via the electronic entry. It is also perfect for different available spaces within a home without blocking the keypad or the door. For many owners, this is the best safe for the money due to the several advantages it offers, including the overall design and the flexibility when it comes to its mounting options. 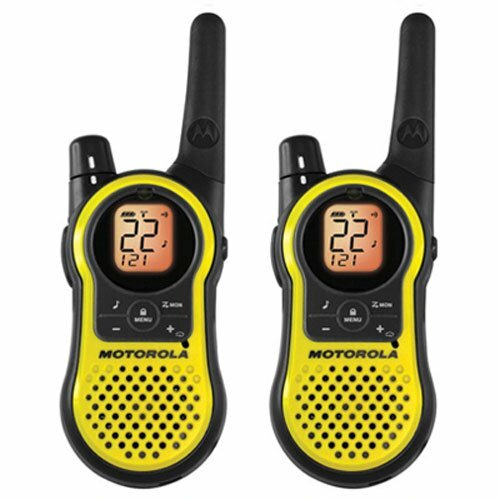 Among the best selling points of this item is the foolproof programmable and electronic entry, along with its key backup. The user can also opt for the on or off ‘beeping’ sound of the electronic keypad, not to mention its built-in white internal floodlight. Overall, the GunVault SV 500 is the best pistol safe for a lot of owners as the safe appears and feels very solid once mounted. It offers the fastest access method, unlike other models on the market. The Sentry Safe Biometric Quick Access Pistol Safe Model receives an average of 4.5-Stars on safe gun ratings. This model is considered as the biometric gun safe, as the owner gets a protection as unique as his fingerprint. Aside from the fingerprint, it also allows the user to create a combination of added safety while retaining a quick and reliable entry to the safe. This vault boasts a whisper-quiet gas strut, allowing a single-handed access towards the firearm. In just seconds, the owner can fully and quickly defend himself and his family from intruders. The Sentry is the best biometric gun safe, so far, attributed to its biometric and electronic keypad. The reader can detect a maximum of two programmed fingerprints, while its programmable digital keypad provides a zero audible feedback. With this feature alone, the user feels safe and confident in emergency cases, having a quick and full access to his firearm. It features a single-handed access due to the compression gas strut, which opens the lid, while holding it in the open position, thereby, allowing a one-hand access to the firearm. This is made possible without having to make any sound or moving the safe, which could alert the intruder. The single-hand access also allows the owner to make emergency calls while retrieving his firearm with the other hand. Moreover, the Sentry Safe Biometric Safe Model is the best value gun safe because of its pry resistant feature. It has been specially designed with this feature to prevent unauthorized access, while its overall construction is combined with solid steel for optimum safety and confidence. A very reliable biometric safe is the BARSKA Biometric Safe, especially designed and produced by the well-renowned Barska. This safe has been tried and tested by many users, making it perfect for storing guns, ammos, sensitive items, and other compact valuables. Aside from serving as a pistol safe, this item can come in handy in keeping valuable electronics, jewelry, and documents, ensuring that all these valuables are safe while giving the owner a peace of mind. The Barska safe is featuring practical dimensions, measuring at 16.5 x 7.75 x 14.5 inches so that it can be hidden in locations, based on the owner’s preference. 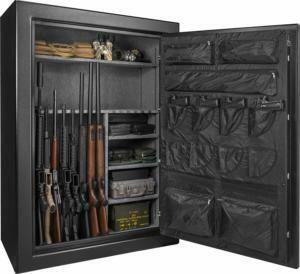 It is the best gun cabinet, storing identities for a maximum of 30 different users. This safe also boasts a user-friendly interface, allowing the owner to register and store fingerprints within seconds. The biometric technology is certainly the Barska’s major selling point, allowing the user to quickly and flawlessly access the valuables and weapons during emergency situations. The two-point deadbolt locking system is made of solid steel and guarantees ultimate security. Based on biometric gun safe reviews, the Barska also requires proper care and maintenance, requiring the owner to keep the scanner clean at all times. It is simply done by using a dry cloth in eliminating smudges and prints. The battery also needs a regular checking. Thus, three repetitive beeps and flashing red lights are indicators of low battery. All in all, the BARSKA Biometric Safe is one of the top gun safes ever created. The kit also includes a mounting hardware and two back-up keys, aside from the safe itself. The vault has factory pre-drilled anchor points for the user’s convenience in securing the safe on the wall or to the floor. Four AA batteries with a maximum of two-year battery life are likewise included in the package. Gun vault reviews also indicate the efficiency of the Hornady Security Rapid Gun Safe with an impressive rating of 4.5-Stars on Amazon. 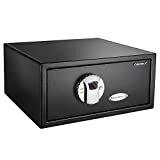 This safe offers a fast and touch-free entry, similar to the gun mentioned above safes. It is also considered as the best home gun safe due to its child-resistant design. This safe could be the answer to the question on what is the best gun safe, considering the multiple access points, while securing the handgun and making it ready at the same time. Durability is not an issue with this item as the Hornady is made from 16-gauge steel, plus a ¼-inch heavy-duty steel locking system. Compared to the other pistol safe reviews, the Rapid is an epitome of a revolutionary concept when it comes to firearm protection. It is, without a doubt, a combination of security, safety, and an intuitive ease of access. In fact, this vault is the very first to use the patent-pending Radio Frequency Identification or RFID for instant access. The RFID bracelet, key fob, or card is placed over the reader, and the safe opens quickly. There is no hesitating with the Hornady Rapid as it is admired in gun vault reviews. It has created a lot of happy customers and generated positive reviews on Amazon simultaneously. It lives up to its promises, and undoubtedly surpasses the expectations of consumers. Unlike other vaults, the rapid does not require the user to scan fingerprints or enter codes, before opening the safe. 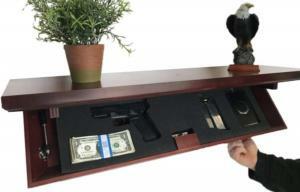 For many owners, it is certainly a great gun case and is among the best gun safes for the money. It is also a good replacement or alternative to cheap biometric safes that do not meet the requirements of a reliable gun safe. Among the best pistol safes is the First Alert 5200DF Portable Handgun or Pistol Safe, garnering an average rating of 4.5-Stars on Amazon. Its portability is the best solution for safeguarding a pistol and ammo, allowing a quick entry just like the other handgun safe reviews above. Durability is also assured by this safe due to its 18-gauge steel construction. It comes with a black powder-coat finish, making its overall appearance very interesting, yet sophisticated. It has an electronic keypad, plus a programmable passcode that allows between three and eight digits and a ‘no see’ pass code. Thereby, it is certainly a secured theft protection safe. The First Alert is considered as the best affordable gun safe by many actual users with an impressive, spring-loaded door locking mechanism that opens very swiftly upon entry of your pass code. It also boasts a padded foam interior, protecting the content throughout the storage time. The kit includes a 1500-pound steel cable for locking it down in a car trunk. Factory pre-drilled mounting holes are already provided for securing the vault to the shelf or the floor for added security. Similar to the above mentioned best gun safes, the First Alert has practical dimensions of 10″ in length x 12″ in width x 3″Din diameter, while weighing at only 4 pounds. Among the advantages of this safe over the others is its California Department of Justice (CA DOJ) approval. Hence, it is a sensible investment, especially for gun owners who have children at home. While it is small in size, the First Alert is highly capable of holding a mid-sized handgun and storing two spare mags. Indeed, this is the best budget gun safe with a smooth and reliable locking and unlocking mechanism. The SentrySafe 1200BLK Fire chest is a great entry level safe and one of the best fireproof gun safes found on the market. It is affordable with an inside dimension of 11” x 3” x 7”. This fireproof gun safe designed to hold important documents that one does not need to fold measuring 8.5” x 11”. It is also great for keeping small handguns safely stored away and great for keeping passports and birth certificates packed away. This model is versatile while compact and very popular worldwide. There are different models available in the SentrySafe range – we recommend buying the bigger models if you are in need of storing away more than one firearm. We suggest looking at the SentrySafe SFW123CS. Garnering an average rating of 4.5-Stars on Amazon is the SnapSafe Lockbox. This safe is said to be the most convenient pistol lock box and among the best gun safes on the market. It can secure other valuables and fits most sizes of handguns. The SnapSafe is ideal for home use and even for travel purposes. This pistol lock box also includes a security cable, performing a wonderful job in securing pistols, handguns, cash, and other valuables. Among the selling of this safe is its durability, not to mention its simplicity. After all, Snap Safe Inc is a renowned producer of top-notch modular gun safes and pistol lock boxes in the United States. This small gun safe is very easy to operate due to its convenient key lock system. It has an interior, top, and bottom that are lined with half-inch memory fitting foam for added protection of the contents. The SnapSafe also meets the airline firearm guidelines set by the TSA. The lock mechanism and the materials are very durable and reliable, providing a sturdy case not just for handguns, but also for many other valuables. Although it costs a bit more than its rivals, the SnapSafe will surely satisfy every potential owner. It is a travel-friendly vault, allowing the owner to bring it anywhere such as in the car or the hotel. Overall, the SnapSafe Lockbox is the most portable and convenient pistol lock box, among the best handgun safes today. 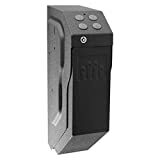 Before arriving at the best fingerprint gun safe or a biometric safe, reading about gun safes reviews is without a doubt crucial throughout the search. However, the reviews and ratings are not sufficient to obtain the best item from the market. There are more factors to consider so as narrowing down the choices. So, below are the key points you should bear in mind, while in search of the best fingerprint gun safe. The locking system is the most basic feature that you should watch out for in a gun safe. Obviously, the best cheap gun safe could have a ‘not so reliable’ locking mechanism. Thanks to the technological advancements of today as manufacturers are now offering their products with innovative locking mechanisms, unlike the older gun safes. A basic locking system could be sufficient in protecting the handguns or pistols from children or anybody else. 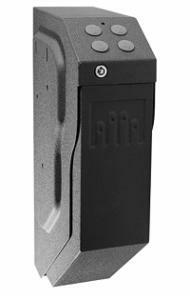 For added protection, electronic gun safes are now combined with mechanical lock mechanisms. Nowadays, the company who makes the best gun safe is offering the biometric varieties that provide an extra layer of security. The best biometric gun safe is very hard to duplicate with heavy-duty locking mechanisms. The level of security that you need is always a major factor to consider, before purchasing a gun safe. Besides the locking mechanism, considering the materials used and the overall construction is equally crucial throughout this search. A basic model of a handgun safe will do very well if you require just the basic protection. However, if you have more expectations, then you must be willing to pay more. Keep in mind that these items are produced by different brands in their ways, materials, and techniques, along with their quality control. Thanks to trusted brands, just like the manufacturers mentioned above that create and offer affordable gun safes made from durable materials. In a nutshell, the thickness of the materials, such as the steel used in the construction is a key point during the selection of gun safes. Inferior and sub-standard materials certainly affect the strength of the safe, making it easy to break and penetrate. Therefore, be keen on reading about the materials used and the entire construction of a certain gun safe. A reliable gun safe review will also tell you the importance of having the best fireproof gun safe, and a waterproof variety. Bear in mind that not all gun safes on the market offer these features, while other items can be tailor-made just to obtain these options. The rate of fireproof and waterproof gun safes could be more expensive though, compared to others. Waterproof and fireproof gun safe reviews will also indicate the significance of fire safe specifications when it comes to these items. Therefore, make sure that the gun safe you’re about to purchase meets the specified ratings and corresponding fire safety guidelines. The size and capacity of a gun safe are as essential as the other features. Primarily, you have to determine the number of your handguns, pistols, ammo, and other valuables that you’d want to store in the vault. Second, identify the size of the things you wish to keep the gun safe. From here, you can also identify the necessary size and the capacity of the best gun safe that you need. Essentially, a gun safe only has one compartment. You will not see vaults with pouches, side hangers, or side racks. So, considering the size and capacity of the vault is very crucial, before placing your order. The location is not at all related to the brand, manufacturer, or the dealer. The location, on the other hand, is relatively based on you, as the buyer or user of the product. It is important to determine the location of the gun safe, whether in your home, office, car, or hotel room. Gun safes are carriers and storage places for valuables, hence, finding a discreet location is necessary, before buying one. A secluded location in the attic room or the basement is the most sensible places to keep a gun vault. On that note, the size of the pistol gun safe is inseparable from the probable location. The best biometric pistol safe comes with a trusted brand or manufacturer. Obviously, the brand is a very important factor to consider, choosing a producer of the best safes with integrity, unwavering dedication, good clientele relations, and customer support. The best gun safe brand specializes not just in producing reliable and sturdy gun safes, but also in offering safety measures along with their products. The experience of every manufacturer is also a contributing factor. So, choosing a brand with a strong commitment and specialization in designing very good gun safes for wide ranges of consumers is a great decision you have to make. Finally, the warranty is a factor worth considering when it comes to the top rated gun safe. This plays a crucial role during the crisis, protecting the consumer from possible defects. Since it is a given fact that gun safes are expensive and lavish investments, these items cannot be repaired from time to time. Thus, it is essential to take a very clear look at the product warranty provided by the manufacturer. However, keep in mind as well, that the warranty details vary from one manufacturer to the other. Take enough time in reading about such details without forgetting the other factors and features of the product. After all, manufacturers and dealers can accommodate queries from consumers, so there’s always room for asking questions or making suggestions. Over and above, handguns and pistols are good and pricey investments. The same is true with the best gun vault as it is capable of protecting such investments. As a gun owner, it is your complete responsibility to keep these items away from the reach of innocent minds – the children, and away from the dangerous hands – burglars, intruders, and criminals. Hence, the only and best solution in resolving such issue is to buy the best-rated gun safe from a trusted manufacturer. This is more especially for those who have handgun collections that require more storage space and vaults to keep them safe, while not in use. Unlike expensive and space-eater cabinets, the best small gun safes are more sensible in keeping handguns, pistols, and other valuables, giving you the chance to choose the most proper location – the most discreet place to store and protect these precious items, because these gun vaults can be mounted to a wall, to the floor, or under the bed. All in all, careful and proper planning is essential, before arriving at the most reliable and high-quality biometric pistol safe. Hence, you have to do your homework – researching and comparing the selections of gun safes, while reading about the biometric safe reviews and ratings on the internet. Finally, never forget to place your order through a reliable dealer, assuring a genuine product and a warranty from a trusted manufacturer.